Home / Blog / A website’s purpose is to drive more sales. How’s yours doing? If your website is an online brochure, you’re stuck in the 90s. Since it’s a critical piece of the puzzle that makes up your business, your website should allow you to connect, interact, and build a relationship with your prospect. Small and even medium-sized businesses must leverage every tool they have to reach their intended target customer. What’s the purpose of having a website if you’re not actively capturing your visitors contact information and then developing a strategic relationship with them over time? Unless you’re an SEO whiz and can organically rank your site in the top searches, it costs big bucks to get leads and prospects to find you. Once they do, are you letting them pass on by?! What do businesses list as one of their top pain points? Not generating enough leads and not getting enough sales. Agreed? If we all agree with that statement, here are a few tips on how to maximize your website’s ability to drive growth. Know your ideal customer. Most importantly, know their habits, their pain points, their voice, their customers. Then figure out how you fit in the picture and clearly state the solution you can provide. Speak your customer’s language. Do you offer a tech-heavy product/service, or are in the medical field, or maybe you’re an attorney, or in the energy sector? 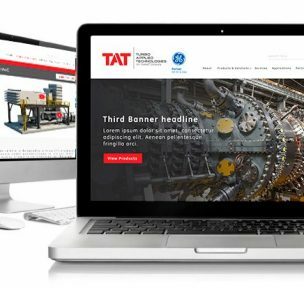 While you may be the best in your industry, does your website content require a translator for the layman to know what you’re providing? If you’re expecting your customer to work hard to understand your product/service, then you’ve already lost them. Simplify and educate. Branding. Branding. It’s like choosing the right location for a new restaurant. Location is critical. It works similarly online. Except it’s even harder to stand out. What does your website say about your business? Are you creating the same experience online that you create on the phone or in person with a customer? Does your message and solution match what you say, do and deliver in their experience with you? How can you over deliver and go beyond their expectations before a lead calls or emails you? Is your unique value proposition screaming out all over your website? It should be. 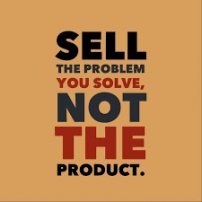 Provide value before you ask for the sale. Customers are inundated with opportunities to buy. They have a number of options from whom to buy as well. Consider giving them an experience with you before they commit. What would that be worth to you in the long run? Giving a prospect the opportunity to try your product/service builds trust and an unconscious commitment to your brand. Find a way to create that experience, be creative. Capture their contact info. What does your membership rewards card look like? If your website is not equipped with a lead capture system, you may as well shut it down. And no, we don’t mean a “sign up for our newsletter” box somewhere hidden in the corner. Most customers will not voluntarily give you their email address to receive more mail in their junk folder. You must offer value in exchange for their contact information. The relationship building process begins there. Now it’s time to nurture.